Now until October 15, players can order the Nintendo Switch exclusive Mario Kart 8 Deluxe for just $35.99 using the code FALLSAVINGS on the Google Express shopping service. Google Express is an online shopping platform that allows customers to make purchases from various major retailers all in one place. 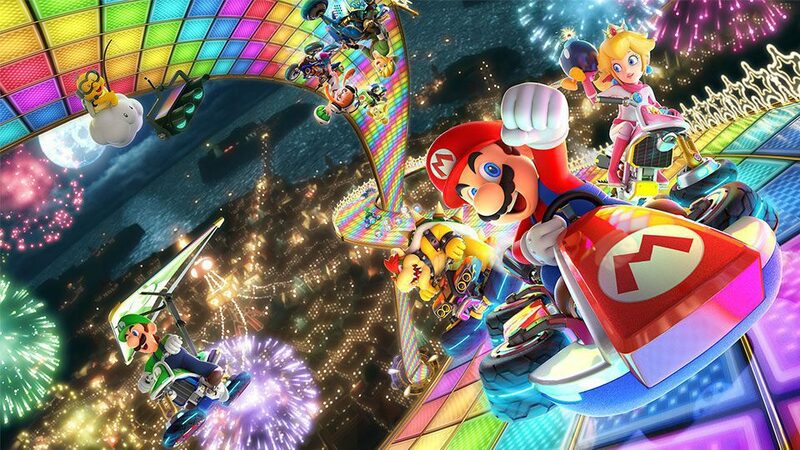 Mario Kart 8 Deluxe for Nintendo Switch is currently being sold by Walmart via Google Express at an already-discounted $44.99, $15 off its retail price. Combine the $44.99 with the 20% off saving code FALLSAVINGS, and the price of the popular Nintendo Switch title drops to just $35.99. To take advantage of the deal, just go to the Mario Kart 8 Deluxe product page on Google Express, add the game to your cart, proceed to checkout, and then enter the code FALLSAVINGS near the bottom of the checkout page. Hoping to get free shipping, too? You’re in luck. Walmart offers free 2-day shipping on orders over $35, so Mario Kart 8 Deluxe just makes the cut. It is rare for Nintendo Switch games to drop very far in price, particularly games as popular as those in the Mario series. It is difficult to predict when a deal like this will come around again. A few other video games and accessories qualify for the 20% discount, including Splatoon 2, Skyrim Special Edition, and Pokemon Ultra Sun. Once again, the extra 20% discount is only available to first-time Google Express users and cannot be used in-store. The offer expires October 15. If you already have a Google account (such as a Gmail account), you can use it to sign in to Google Express without having to create a new account. If you do not already have a Google account and would like to create one to take advantage of this deal, you can do so at Google’s sign-up page here. Planning on picking up a discounted copy of Mario Kart 8 Deluxe or another game? Let us know in the comments. Amitabha is a freelance writer, editor and actor. His primary focus as part of the Consumer Press writing team is to bring people the latest in gaming news, announcements, tips and rumors. He can be found and followed on Google+ at https://plus.google.com/+AmitabhaSarfati/.